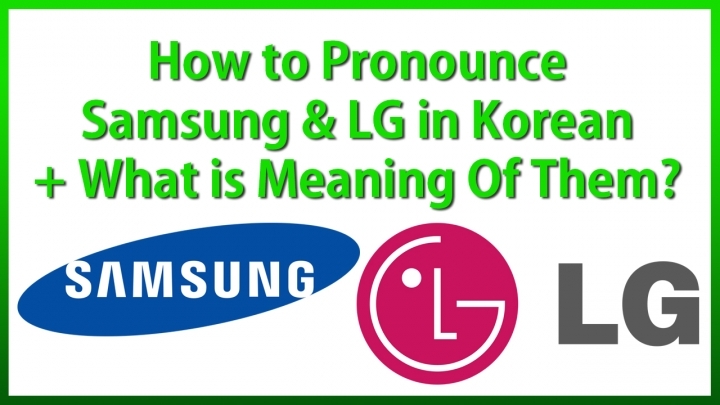 How to Pronounce Samsung & LG in Korean + What is Meaning Of Them? In this special edition, I show you how to pronounce Samsung & LG in Korean language, the way Koreans say it in South Korea. Also, I tell you the meaning of these names. Samsung is spelled “삼성” in Korean written language and “三星” in Chinese written language. Meaning comes from the Chinese characters, “Sam” means three and “Sung” means stars. So, Samsung together means three stars. LG original company name was “Goldstar” back in the 80s when I used to grow up in South Korea as a kid and everything electronics in Korea back then was made by Goldstar. LG rebranded to Lucky Goldstar but because of “Goldstar” having some trademark issues they rebranded to “LG” which is easy to remember. LG has rebranded the meaning of LG to “Life is Good” in the recent years. FYI: I grew up in South Korea until I immigrated to America when I turned 9 in 1989. Next story Is iPhone X Faster Than Galaxy S9?